Travel 1,360 km (850 mi) west from the coast of Europe and you’ll find nine dreamy islands and tiny scattered islets. The Azores, an autonomous region of Portugal, is a mountainous haven surrounded by the bright blue Atlantic Ocean. The largest island of Sao Miguel gets its nickname “the Green Island” thanks to its ridges and canyons of all shades of green. Thanks to its volcanic origins, setting off on a hike, bike ride, or canyoning excursion lets you explore calderas, steaming mud pools, and lush ravines. The sparkling waters’ waves welcome surfers, while the rich sea life below the surface calls to snorkelers, divers, and whale watchers. 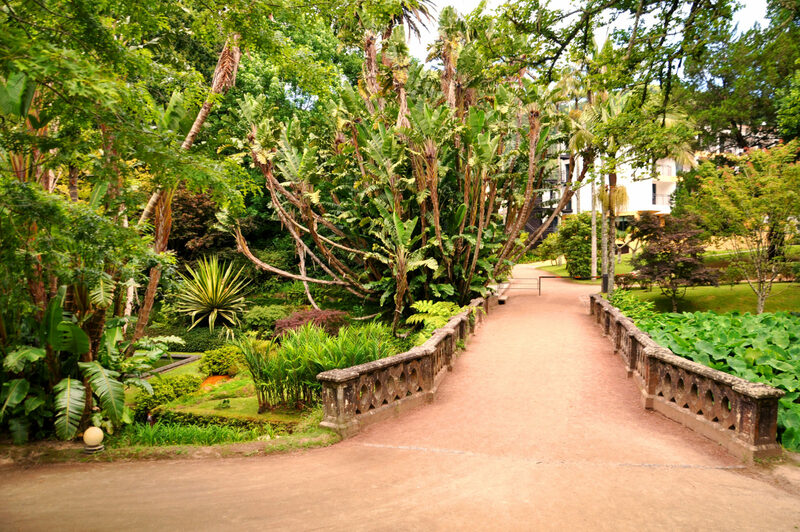 A trip to Sao Miguel has the potential to be much more than a beach vacation. Read on to find out how to make the most of the Azores’ unbeatable outdoors. 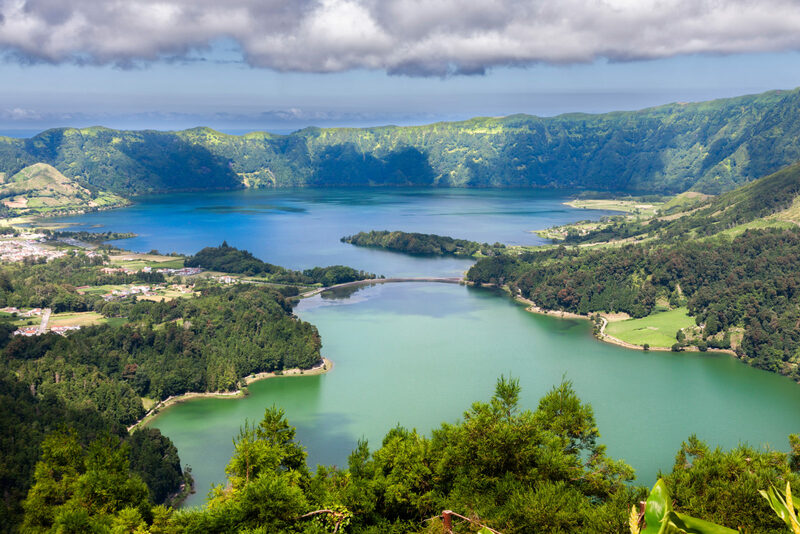 Read any article about Sao Miguel and it will mention the Caldeira das Sete Cidades. Despite its popularity, it remains at the top of our list for its startling lush landscape. After numerous eruptions and collapses, the extinct volcanic area gets its present hilly shape from an eruption in 1445. Since then, plant life has completely flourished, including the Azores juniper and huge fluffy hydrangea blooms. Two lakes of different colors fill the 12 x 7 km (7.5 x 4 mi) caldera, one a bright green and the other a stunning blue. The greater depth of “Lagoa Azul” means the sapphire color of the sky reflects off the surface, while the emerald color of the green algae reflects off of “Lagoa Verda.” Beyond the caldera, deep ravines and sharp mountains paint a completely stunning picture. 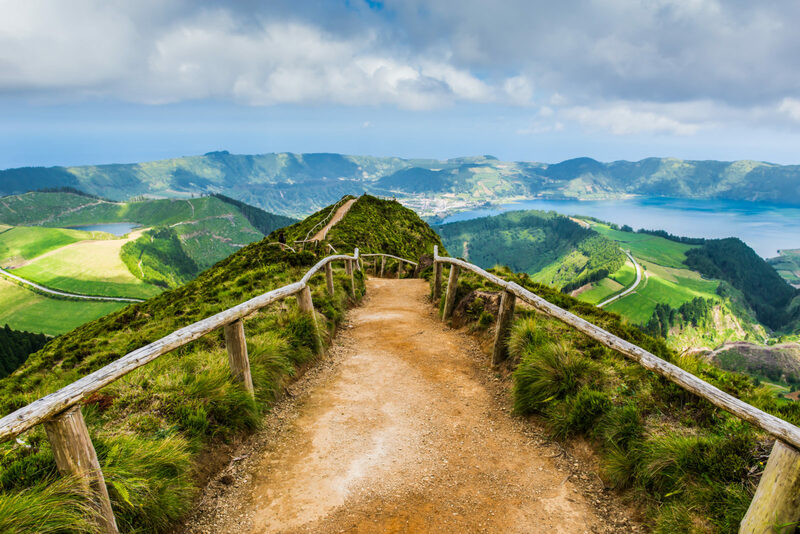 Hike up the hillsides or bike around the water’s edge for your first glance and see why Sete Cidades is one of Portugal’s natural wonders. The extremely hilly interior of Sao Miguel Island offers many photo-worthy opportunities. Hiking or biking your way up to high viewpoints brings panoramic views over the island, famous sites, and the ocean in the distance. Perhaps the most iconic of all the spots, the Boca de Inferno offers a stunning lookout point over the lakes of the Sete Cidades caldera, rolling green hills, and beyond. At 1,000 m (3,280 ft) above sea level, the “Hell’s Mouth” lookout point is more like a slice of heaven. Offering another clear shot of the green and blue lakes, the Vista do Rei is just as gorgeous. Stand in the place where Portuguese King Carlos and Queen Amelia admired the view in 1901 to take in this eternal natural beauty. 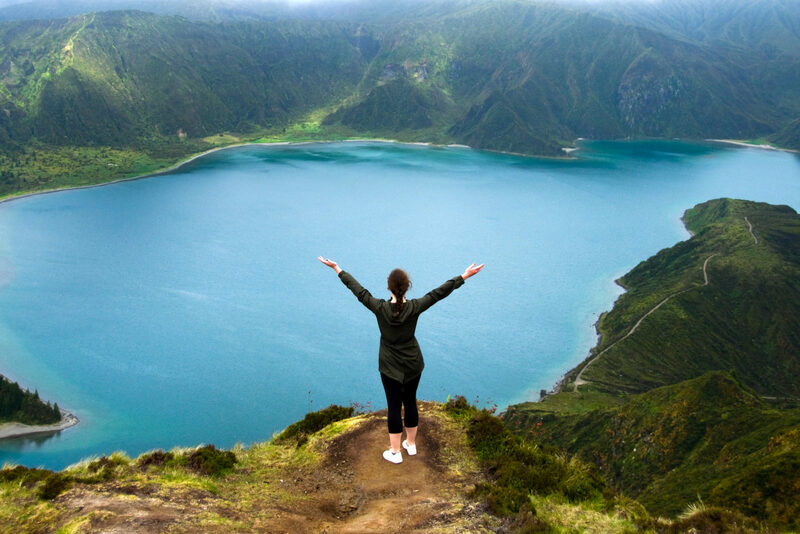 High up on the Agua da Pau massif, Lagoa do Fogo sits calmly and coolly. This body of pure blue is the highest lake in Sao Miguel at 580 m (1,900 ft) above sea level. Trekking up to the rugged ridges surrounding the crater lake brings sweeping views of the green-covered island and ocean in the distance. 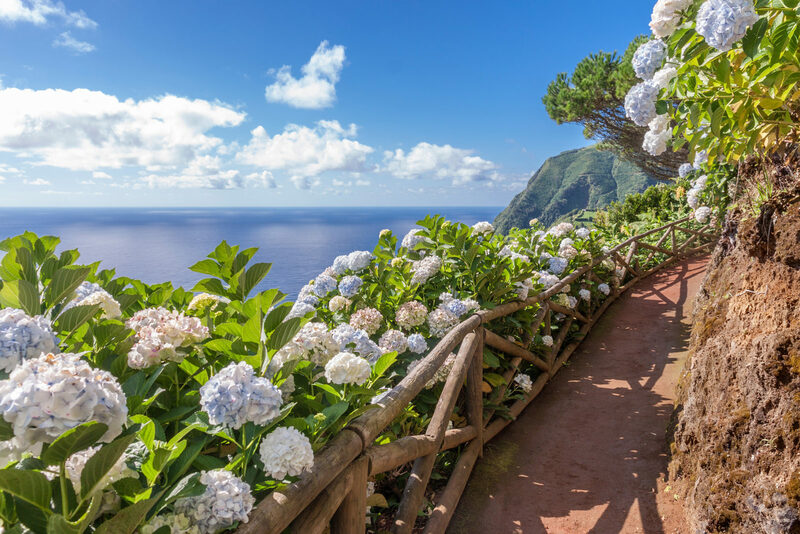 On you way, you’ll see a number of thriving endemic plants, like Azores laurel trees and St. John’s Wort yellow flowers. Walk along the pristine water and see how the only thing hot about the “Lake of Fire” is its flaming beauty. The islands of the Azores support thriving ecosystems both on land and in the water. Thanks to its rich fish supply and position along migration routes, the archipelago hosts up to 25 whale and dolphins species. Some pass by on their migration routes, like the fin whale or the famous blue whale. Four species live in the waters year round, the common dolphin, bottlenose dolphin, Risso’s dolphin, and sperm whale, so your chances of spotting one of these friendly faces are high. 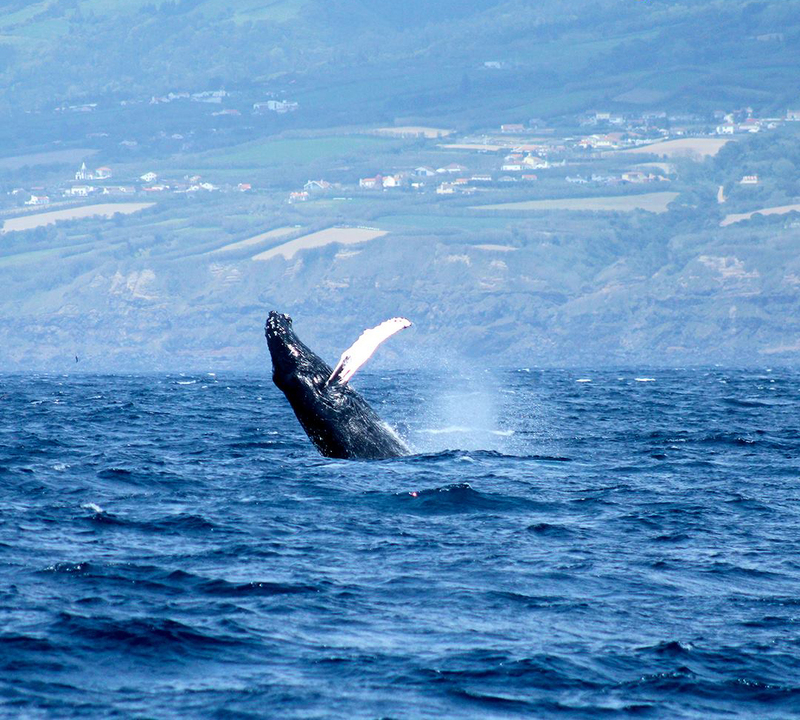 Head out to from either the Ponta Delgada or Vila Franca marinas and look for the giant gentle mammals swimming along the surface of the blue Atlantic. Off the side of the Serra da Tronqueira mountains, the Ribeira dos Caldeiroes Natural Park bursts with life. This protected area full of Macaronesian flora is a natural oasis for exploration. 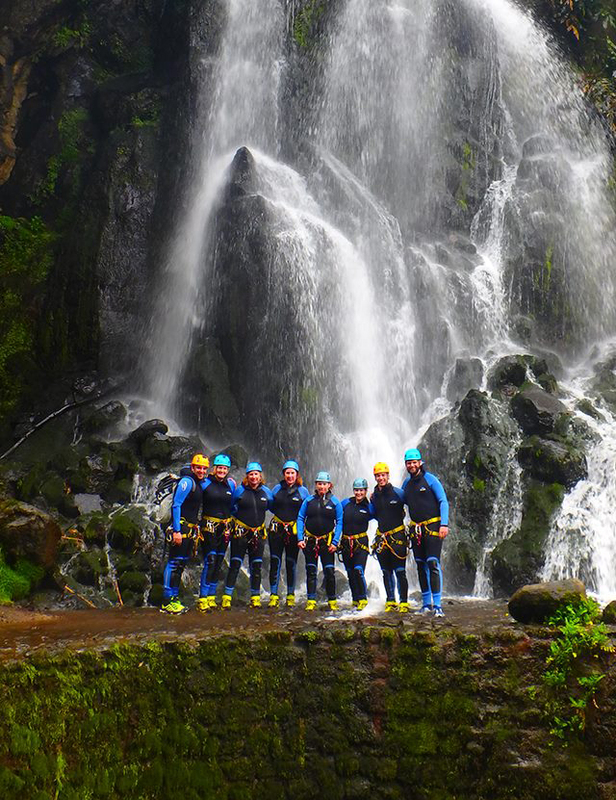 With its flowing waterways and rock formations, this lush park is an ideal spot for canyoning. Instead of just admiring the many waterfalls, abseil down the rushing water and jump from piles of boulders. Exploring the park’s marvelous nature on a canyoning excursion is as memorable as it is exciting. When a garden is over 200 years old, you can expect it to be spectacular. The 12.5 hectares (31 acres) of the Terra Nostra Botanical Park is overflowing with winding trails through romantic gardens, grottoes, and ponds. Wander the property to find bright rhododendrons, blooming camellias, and over 300 varieties of ferns. As if it could get any more relaxing, the geothermal pool in the park can provide you with a soothing soak in its 35-40°C (95-104°F) waters. Enter Terra Nostra to be enveloped in its lush greenery and mineral-rich pools for a relaxing, otherworldly trip into nature. Sao Miguel has had a rich history of harnessing the strong natural forces of the island to use for power. 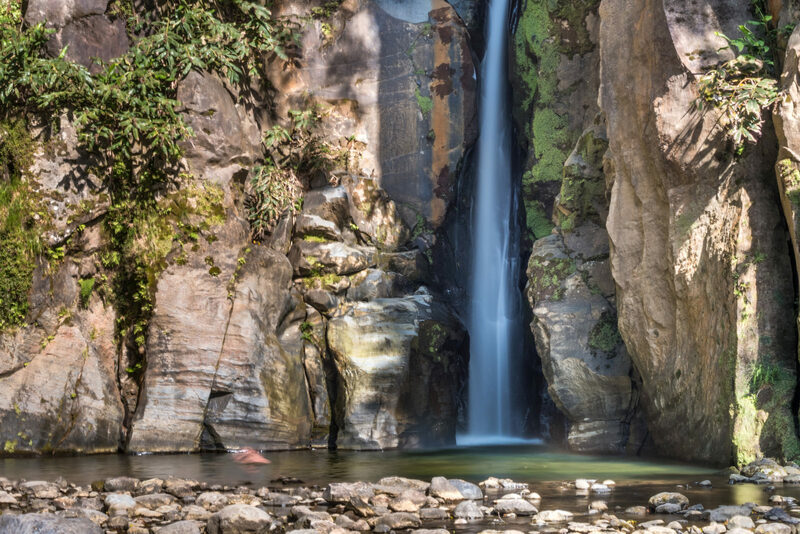 The hike to the Salto do Cabrito waterfall brings you past active and dormant hydroelectric plants to explore how the locals capture the flowing water for renewable energy. From the Caldeiras of Ribeira Grande area, an easygoing hike of 7.5 km (4.6 mi) leads you in a large circle through lush forests and past numerous pipes. First, a forest of Japanese cedars leads you past the deactivated Fajã do Redondo station. After following a stream, you come to the active Salto do Cabrito station just next to the waterfall of the same name. This gorgeous fall flows down from 40 m (131 ft) high in between vertical rock walls. Jump in to cool off – and really cool off…the water is known for its cold temperatures! 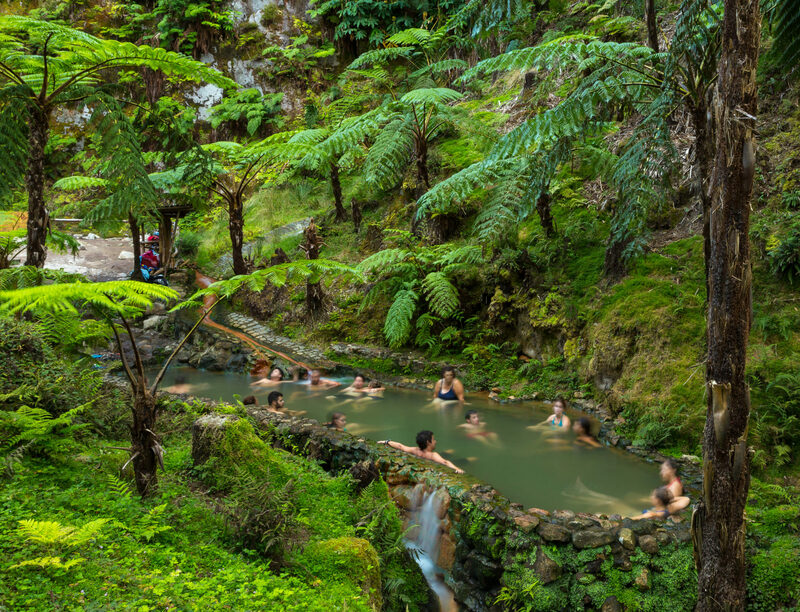 Dip into a geothermal pool to give your body a much-needed break from the exciting action and still make the most of Sao Miguel’s outdoors. The naturally heated springs of the island have been a favorite for locals and visitors for centuries. In the volcanic area of Furnas, five pools of iron-rich red water make up Poca da Dona Beija. Rest in the nutrient-filled water and enjoy the lush greenery thriving around you. On the western tip of the island, the Ferraria hot springs have been a favorite soaking spot since the 15th century. Submerge into the sulfurous waters in a natural swimming pool sheltered from the ocean by basalt rocks. Make sure you time your visit right: low tide means not enough cold ocean water to create the right temperature and high tide means rough waves from the rock barrier. 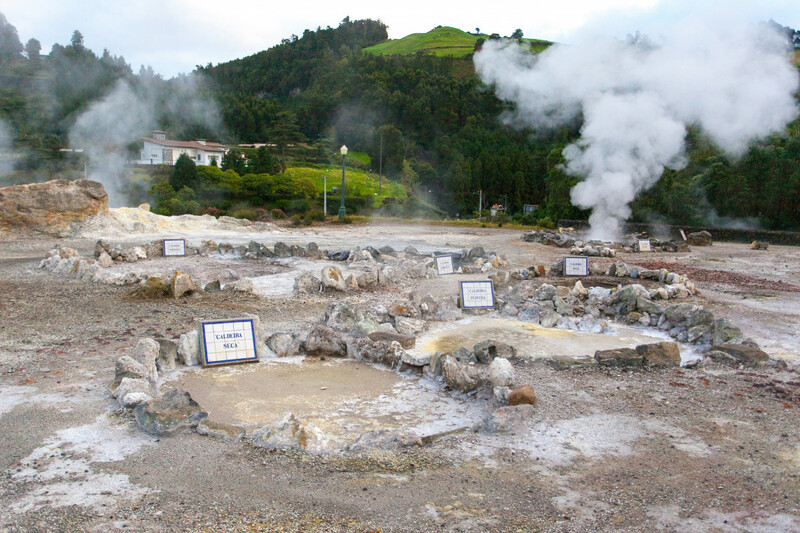 The village of Furnas is Sao Miguel Island’s hotspot – literally. With fumaroles emitting steam and gases from under the earth and calderas just next door, it’s an epicenter of volcanic activity. 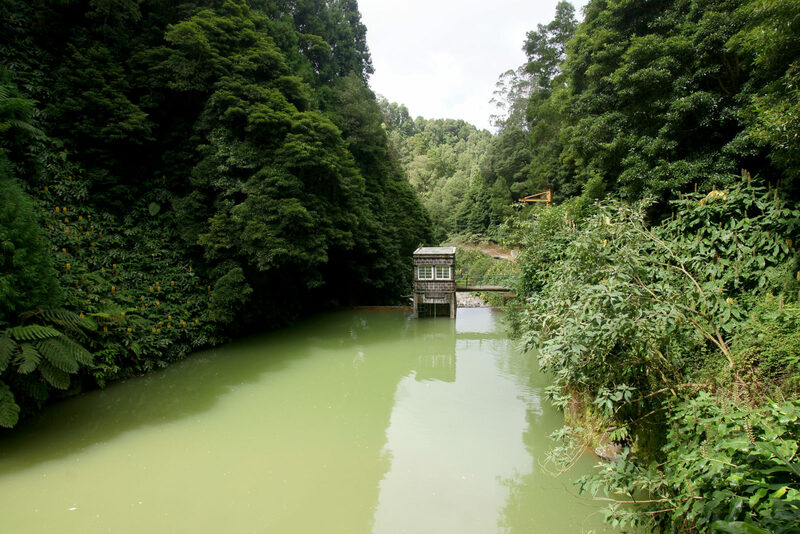 There are actually two main calderas on the Furnas volcano, one filled with a lake sitting at an elevation of 359 m (1,178 ft). The views from the caldera are equally as impressive as the smells. Locals cook the “cozida das furnas” in the natural heat stewing underground. Hike or bike through the 30 hot springs up to the highest point at Pico dos Milhos and discover the rocky, steaming volcanic landscape among the island of green. Praia dal Viola Trail – This enjoyable 5 km (3 mi) walk along the north coast is a diverse mix of ocean views, waterfalls, and old water mills. Follow the trail from the village of Lomba da Maia to Maia and hike with the ocean breeze in your hair. Pico da Vara Viewpoint – Starting in Algarvia, this 7 km (4.3 mi) leads through a Japanese cedar forest and fields of low grasses to a stunning viewpoint over Las Furnas. 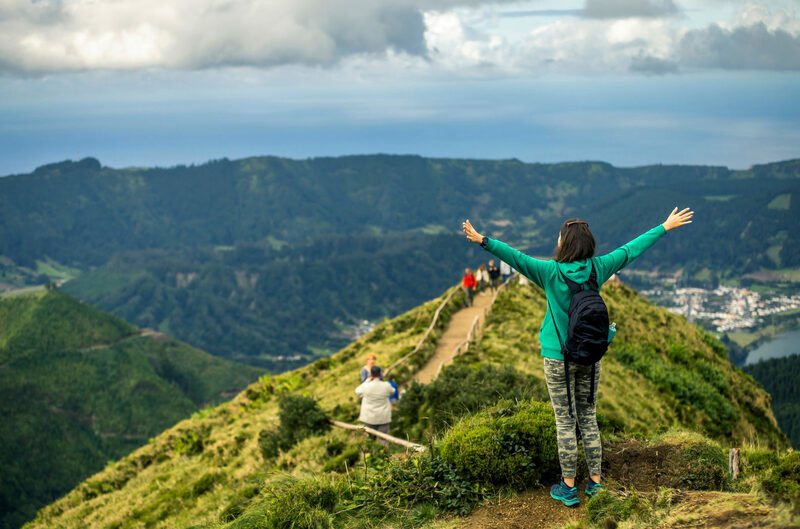 Climb to Pico da Vara and peer out from the highest point in Sao Miguel at 1,103 m (3,325 ft). The deep blue of the ocean surrounding this lush island invites underwater explorers of all kinds. With many reefs and lagoons, there’s no shortage of fantastic snorkeling or diving spots. Thanks to nutrient-rich water and the location along migration routes, the wildlife of the Azores thrives. A marine reserve around the small Vila Franca Islet is a scenic highlight for both snorkelers and divers. Explore the Lourenços and Sabrina Reefs to see a busy community of fish like large groupers, tunas, and manta rays. Historic shipwrecks also offer the chance to observe flourishing marine life. After 40 years under the water, the WWII “Dori” ship is home to sea breams, moray eels, and octopuses. 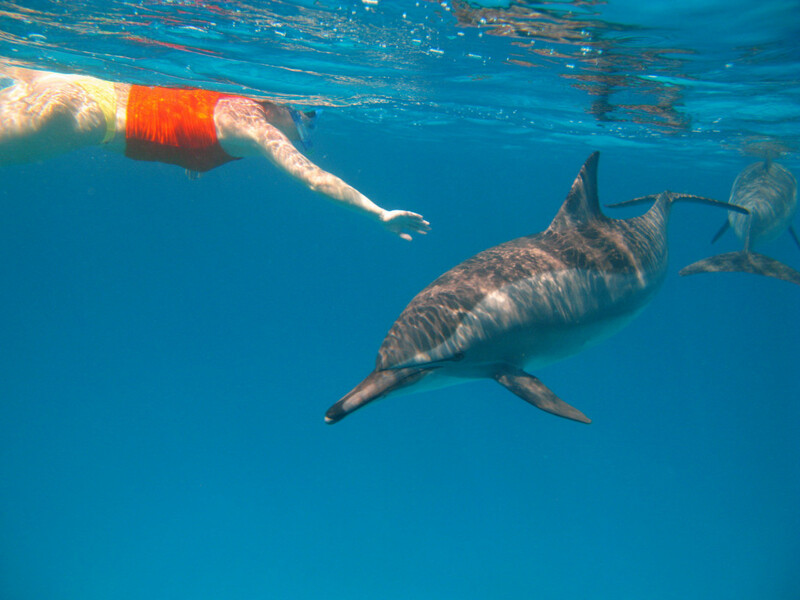 With so many dolphins populating the waters, you can even jump in and bond with these playful mammals. Practice your dolphin noises and make a new friend. Sitting 1,290 km (800 mi) in the middle of the ocean, the islands of the Azores are surrounded by the Atlantic’s wind and waves. This makes for excellent swells in most months of the year. The conditions are so excellent that the World Surf League hosts one of its stages at Ribeira Grande in Sao Miguel. Take advantage of the waves from August to May and sign up for a surf lesson to get up on the board for the first time or perfect your skills. Hit the main surf beaches of Monte Verde and Santa Barbara or explore the waves on many spots along the northern coast.